Maersk-Alabama Capt. 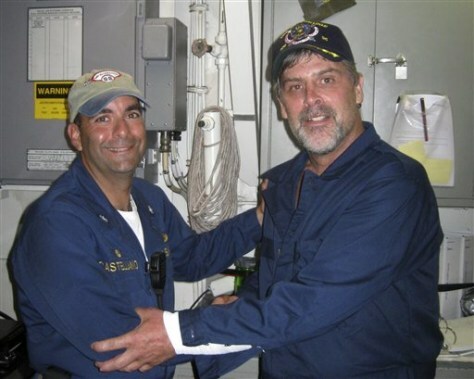 Richard Phillips, right, with USS Bainbridge Cmdr. Frank Castellano after being rescued by U.S. forces off the coast of Somalia. Phillips has been celebrated for his bravery.